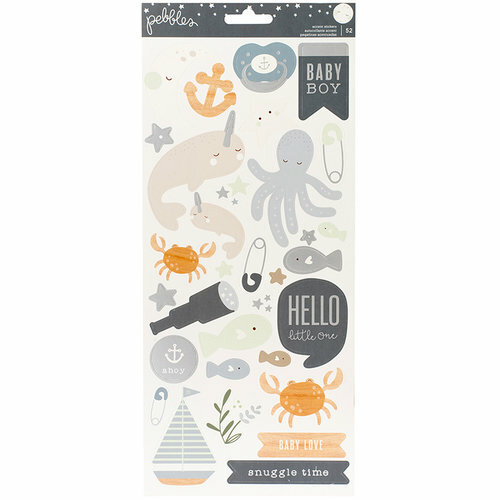 You will love all the sweet critters that are included in the Boy Cardstock Stickers with Foil Accents from the Night Night Collection. 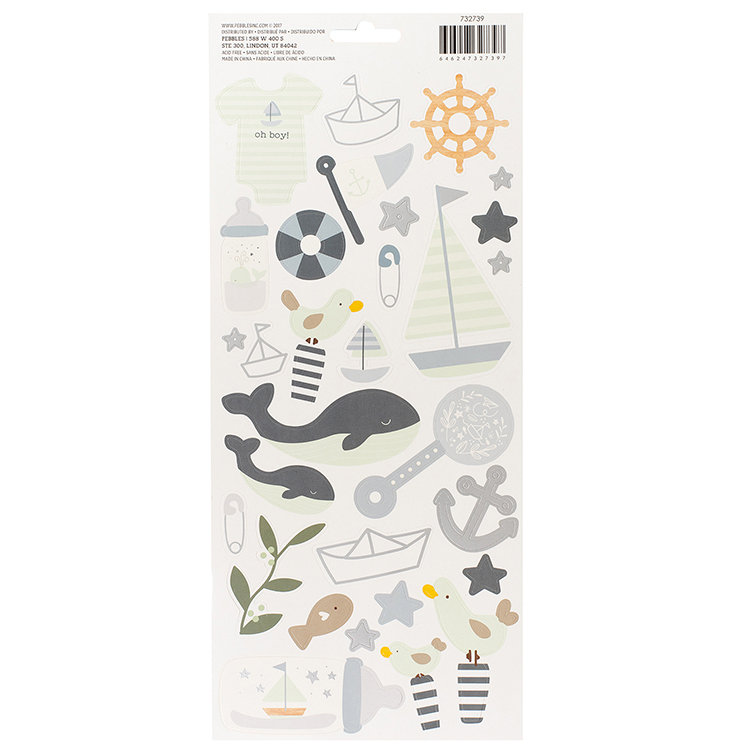 There are 52 icon and accent cardstock stickers by Pebbles included in the package; some with foil accents. There is an octopus, fish, crab and more included.